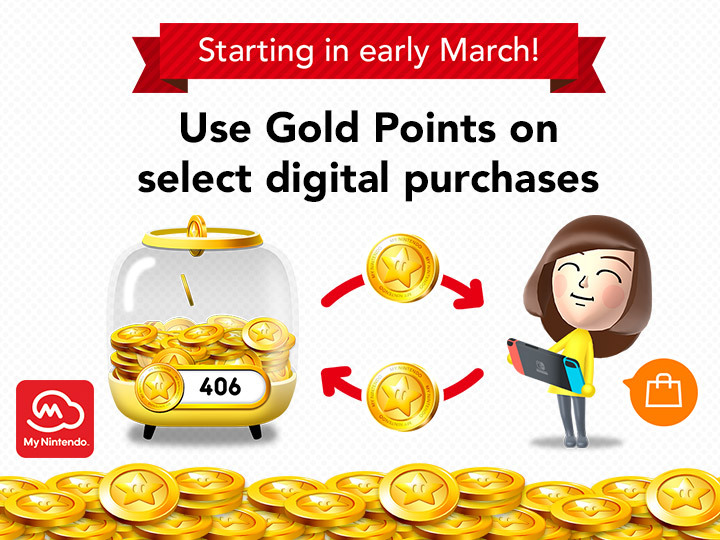 Yes, starting in March, you will finally be able to redeem your Gold Points for digital Nintendo Switch games! Details are sparse, but it sounds as though you will be able to use the points to straight up get games, much like the way they currently offer a handful of 3DS and Wii U titles. They have promised more information soon. Until then, you can read the announcement below. Buy a qualifying digital game for Nintendo Switch, Wii U™, or Nintendo 3DS™ family systems or a physical game for the Nintendo Switch system.